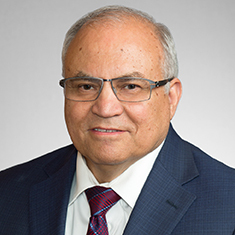 Judge Jorge Solis is special counsel in the firm's Litigation practice, with a focus on trademark, oil and gas, and securities litigation and arbitration. Judge Solis has served in judicial positions, having been nominated by President George H.W. Bush in 1991 as a US District Judge for the Northern District of Texas. He then served as Chief Judge for the Northern District of Texas. During his judicial tenure, Judge Solis presided over hundreds of disputes in trials, involving patent, trade secret, trademark, oil and gas, antitrust and securities litigation. These trials included class action suits and enforcement actions involving the Securities and Exchange Commission; the Comprehensive Environmental Response, Compensation, and Liability Act; employment; and other complex commercial federal cases. He retired from the bench in May 2016. Shown below is a selection of Jorge’s engagements.